Sometimes our counselors have just as much fun playing games as the kids. 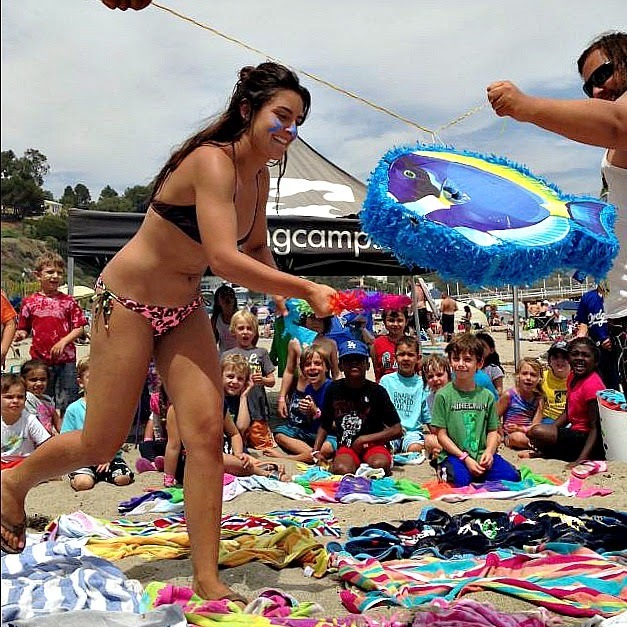 Here's camp counselor Hailey Jacques smashing the pinata on the beach at Keiki Camp. After she hit it, the pinata broke and the kids scooped up all the candy.